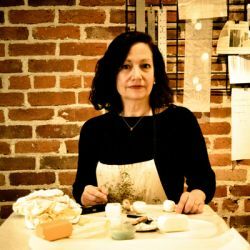 Ms. Guthridge has exhibited in solo and group exhibitions internationally and her work is held in numerous collections Including the Littleton Museum and the U.S. Department of State. "I want people to experience a sense of joy and awe." the land, the gentle curve of plants, the patterns of dappled light through trees. I abstract and reconfigure these patterns to convey the underlying rhythms and harmonies of our environment, creating a space that is somewhere between the real and the imagined." "I work with a variety of translucent, transparent and reflective materials that continually change with the ambient light. Light literally animates my work." "My work is often carefully planned, but there is always an element that is organic and can’t be controlled, simulating nature in it’s operation."